Three stories reflecting California's intense pressures and addictions: "Sparkling Arabella", high on crystal meth astride a Harley, ascends into the stars. Will she find grace at last? A boy, a girl, and a dog meet in the Viper Room, looking for love on the eve of a devastating Los Angeles earthquake. And "Silicon Valley", once filled with apricot orchards, becomes a dream killer for a workaholic on the verge of cashing in. 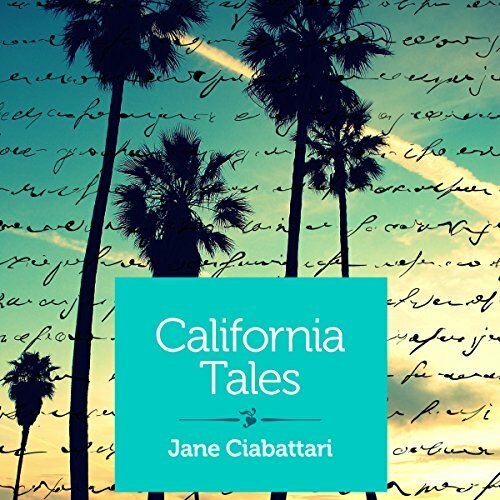 Jane Ciabattari is the author of the critically acclaimed short story collection Stealing the Fire. Her short stories have been published in Long Island Noir (Akashic Books), the Literarian, KBG Bar Lit, Lost magazine, Chautauqua magazine, Literary Mama, VerbSap, Ms., the North American Review, Denver Quarterly, and Hampton Shorts (which honored her with an Editors' Choice Award), among others. She writes the Between the Lines column for the BBC and is a regular contributor to NPR, the Daily Beast, and the Boston Globe. A former president of the National Book Critics Circle, she now serves as vice president. She is on the advisory board for the Story Prize. This is a short audiobook published by Shebooks - high-quality fiction, memoir, and journalism for women, by women. ©2014 Jane Ciabattari (P)2015 Audible, Inc.